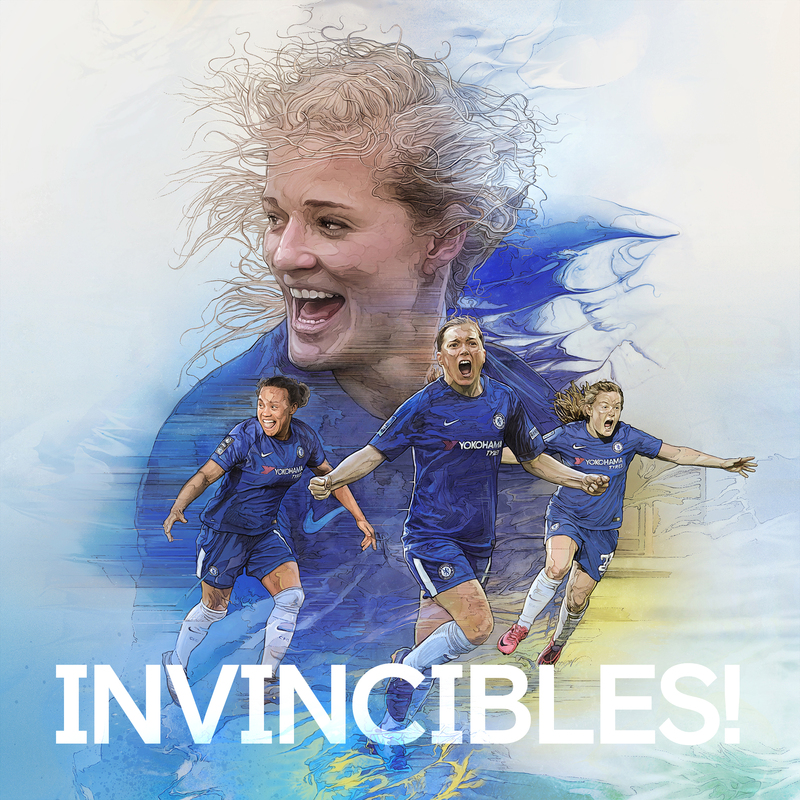 The Invincibles – we created a bespoke illustration to celebrate Chelsea Ladies going the whole domestic season unbeaten. 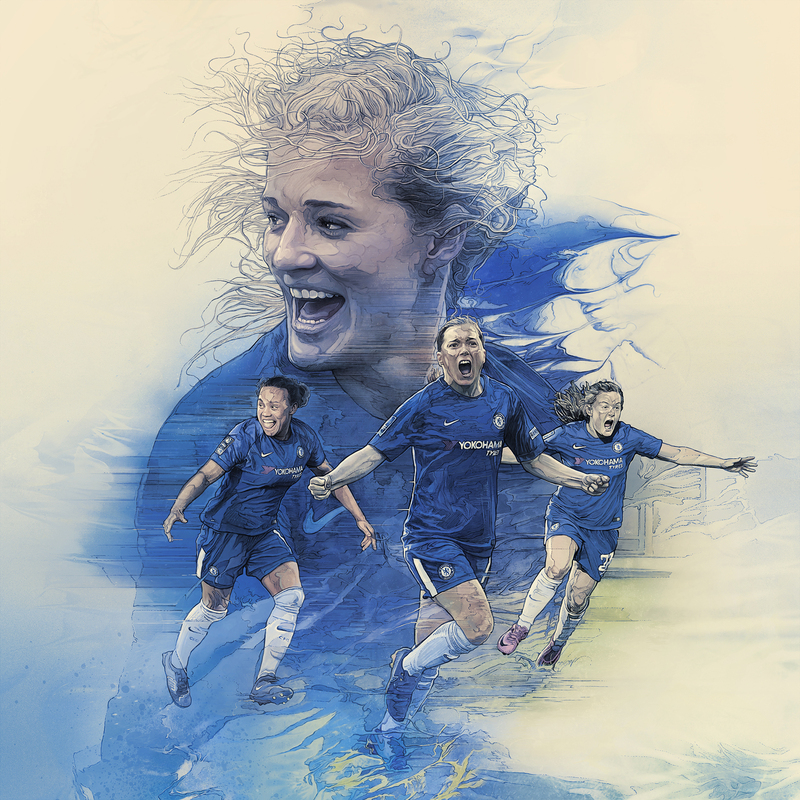 Working with our good friend and illustrator, Krzysztof Domaradzki (studiokxx), we worked with the Chelsea team to create an amazing illustration to celebrate the Ladies team going the whole domestic season unbeaten. In the process of never losing a game, the team secured the double (winning the WSL and FA Cup) scored over 100 goals over the 2017/18 season, Fran Kirby won the two Player of the Year awards and Katie Chapman closed the curtain on a remarkable career.